Have You Ever Participated in a Sakura Matsuri Festival? My daughter and husband both share an interest in Japanese anime. 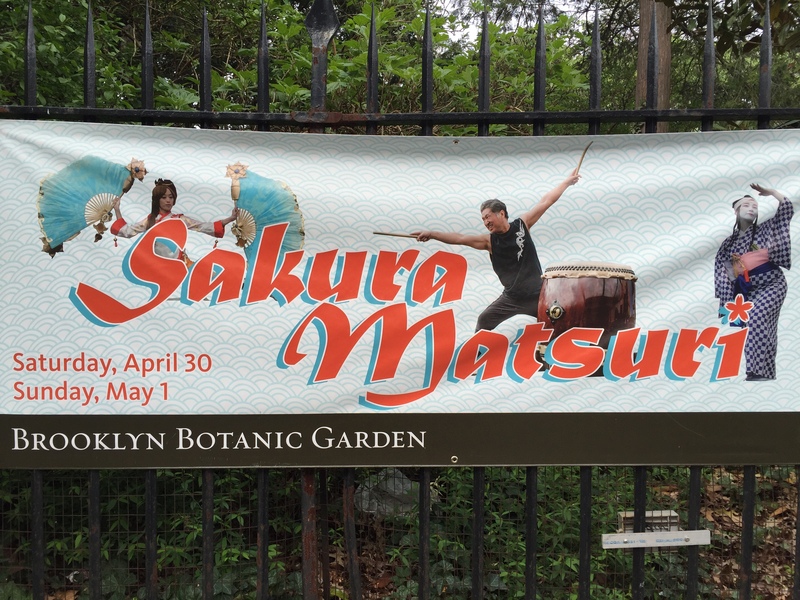 When I saw a Japanese festival advertised a few weeks ago that was taking place at the Brooklyn Botanic Garden, I thought it might interest them. 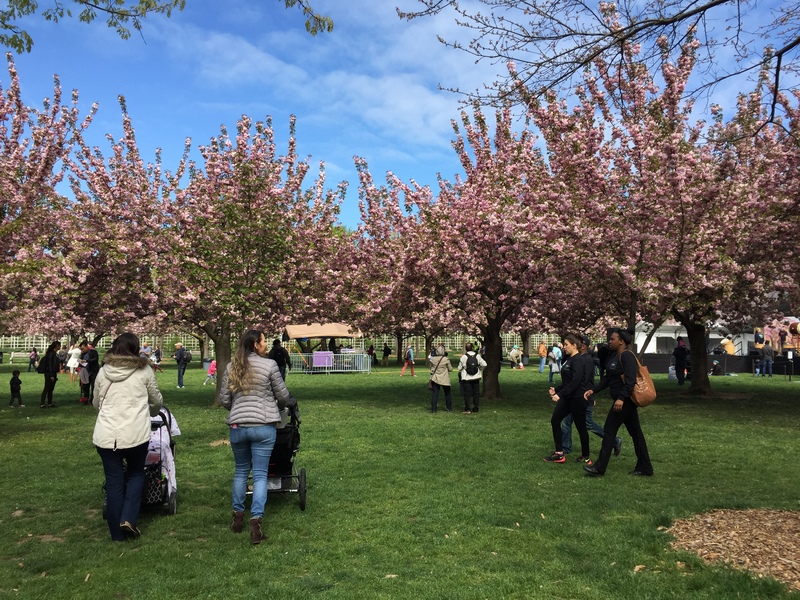 Although I am not a fan of anime, the event known as Sakura Matsuri is also known for its spring celebration featuring the blooming of cherry trees. 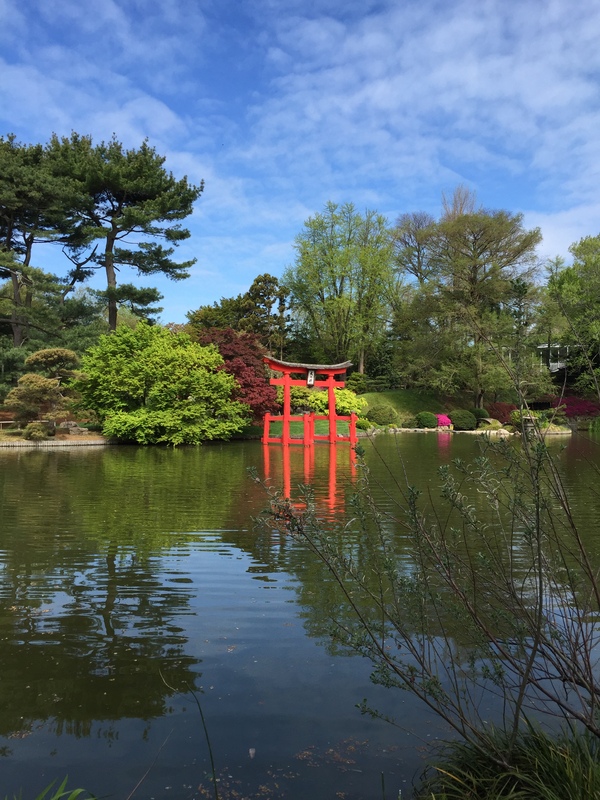 The Brooklyn Botanic Garden has hosted it for 35 years. 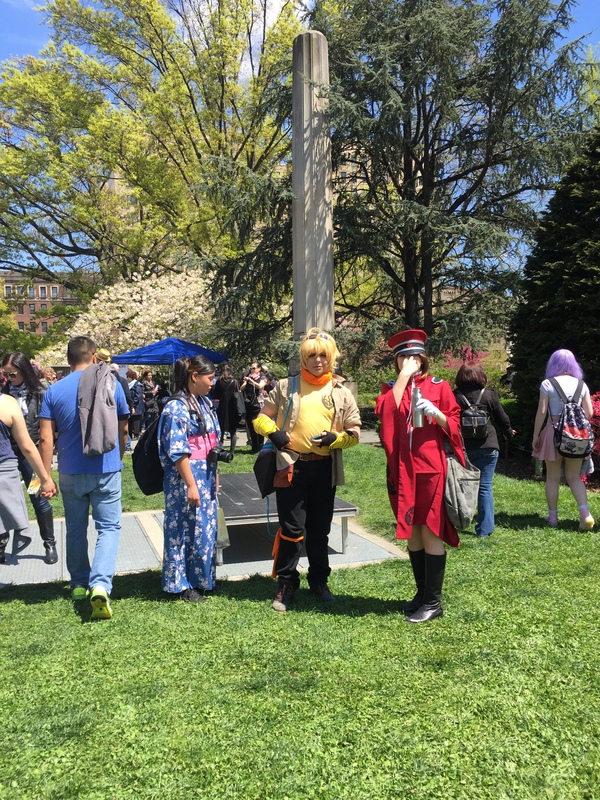 This was the first time my family and I attended Sakura Matsuri or even visited the Brooklyn Botanic Garden. Because we were warned on the garden’s website that the event becomes very crowded, we started our day early and arrived there before the gates opened. Since we’d also purchased our tickets online, we were able to use an express entrance, but the event didn’t start until 10, so we still ended up waiting. Checking the program that was online and also listed in the brochure distributed at the festival, most of the shows my daughter wanted to attend, which included cosplay discussions, were taking place on the Osborne Garden’s J-Lounge Stage later in the morning. Since we had some time, we checked out some other areas of the gardens including the lovely Japanese Hill-and-Pond Garden before heading to the main attraction — the cherry esplanade lined with cherry trees where visitors took photos among the beautiful pink blossoms. 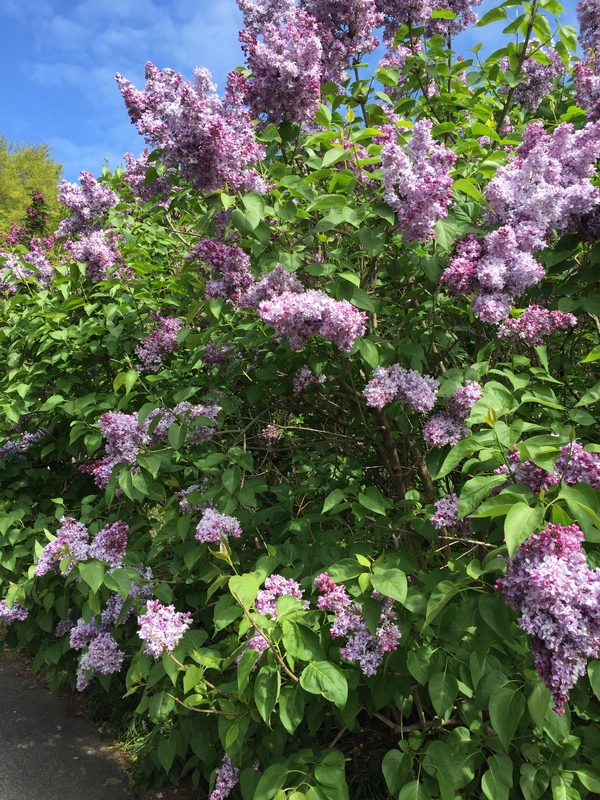 We also strolled down the lilac walk where the flowers’ heavenly perfume scent surrounded us. We stopped for an early lunch at the Visitor Center where my husband ordered a Bento box of chicken teriyaki and my daughter just opted for a hamburger. 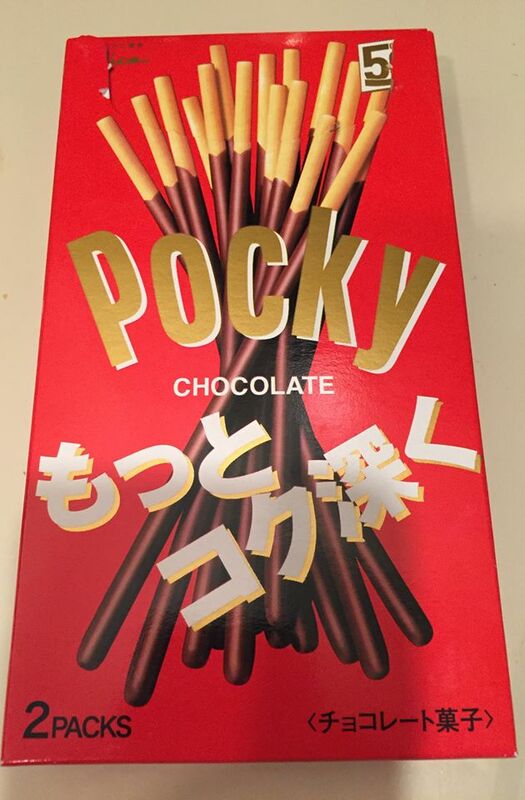 I had a peanut butter and jelly sandwich but also tried the delicious pocky chocolate sticks with my daughter and got hooked on them. In the Osborne Garden, the azaleas were also in full bloom. As we walked, we saw performers as well as visitors in costumes that ranged from Japanese geisha girls to anime characters my daughter enjoyed naming. Circling the Osborne Garden were vendors selling Japanese items and souvenirs. 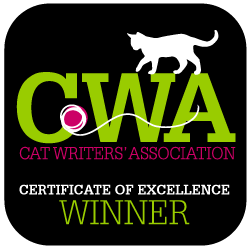 As a lover of all things cat, the table displaying kitties with solar-powered wagging tales was a big drawer to me. 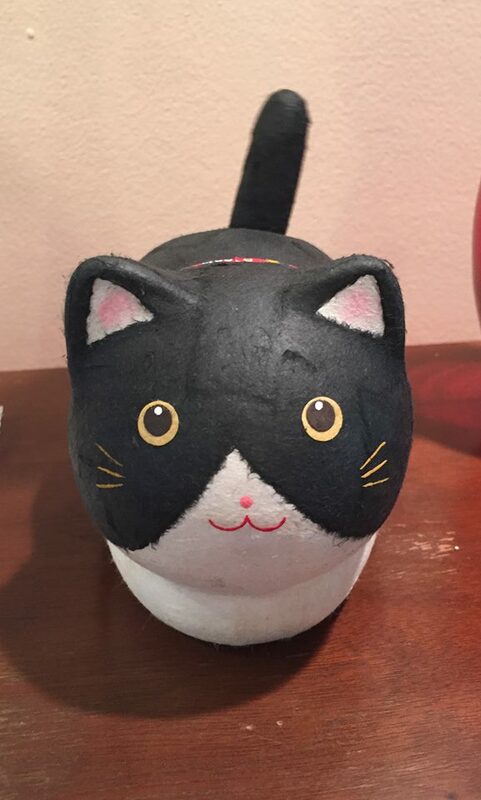 Although the Yura-Yura cats were costly, I couldn’t leave without choosing one. I also purchased a Tenugui, a Japanese cotton towel, that has many purposes including hanging for decoration. There were an assortment of choices featuring the vibrant art, and I was able to find one with ninja cats, cherry blossoms, and a pagoda to remind me of my time at the Sakura Matsuri festival. My daughter, also a big souvenir shopper, found a hat headband that appealed to her that was also more than we’d planned to spend. After watching a few shows including a funny Japanese comic named Rio Koike, the festival was getting very crowded, so we decided to leave. On our way out the gates, my daughter commented that she’d had a great day because it featured her two loves — nature and anime. 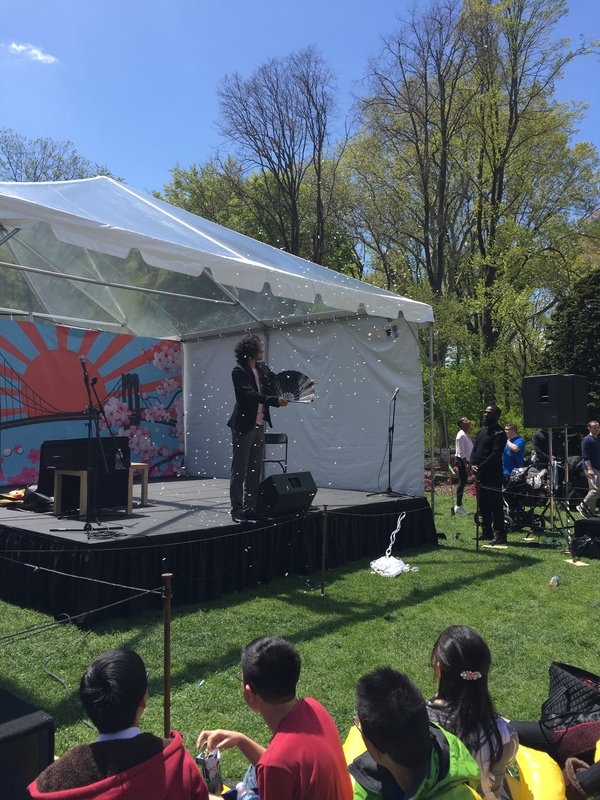 If you’ve never been to the Brooklyn Botanic Gardens or to a Sakura Matsuri festival, I would recommend both. We had a beautiful spring day and, although we missed some of the other attractions — the bonsai and doll museums as well as the tea ceremonies and other demonstrations and exhibits, we look forward to visiting another time. 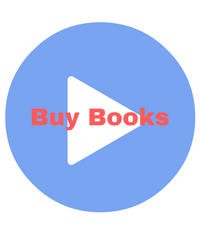 Previous Post What do you think I want for my birthday?